Welcome to SitcomsOnline Digest! It's Christmas weekend, so it should come as no surprise that it's a slower than usual news week. You'll notice this week that two of our usual sections (the ones about home media news and releases) are missing, but don't worry, that's only because this is a slow week and we have nothing to report about new home media releases! They'll be back soon, hopefully as early as next week. We do have some (rather surprising) news about a potential reboot of The Office, we're learning more about the Roseanne reboot, and of course, we've got a look at what you can watch on TV this upcoming week if you're on vacation like everybody in the media press appears to be. Let's get going! 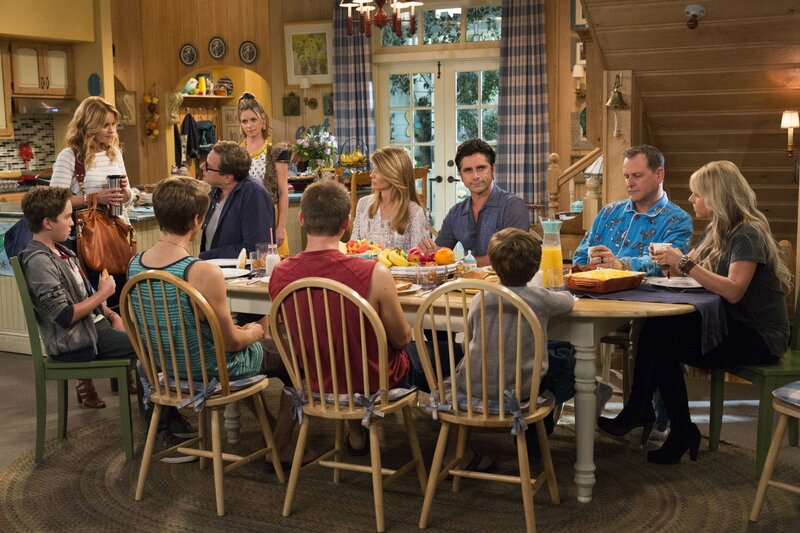 Just in time for Christmas, new episodes of Fuller House are now on Netflix. You can catch all of your favorite Antenna TV Christmas episodes this weekend with a very long marathon that runs from 1:00pm EST today and goes until 2:00am EST on Christmas night, with a bonus two hour block of New Year's Eve themed episodes beginning at 3:00am EST on Christmas night (or the morning of December 26, however you look at it). The broadcast networks have gone almost completely into holiday break mode this upcoming week, but if you're really craving something new, there is a lonely new episode of Great News on NBC on Thursday night at 9:30pm EST. It's not exactly a sitcom or even a TV series for that matter, but TBS and TNT will be airing their annual marathon of A Christmas Story (the original holiday classic, not whatever it was that Fox aired on Sunday) beginning Sunday night. The 40th Annual Kennedy Center Honors will air on CBS on Tuesday, with Norman Lear among the honorees. The Weekend Binge on Decades this weekend is Touched by an Angel.